Boaters are mostly following rules but TIP process continues to be a thorn in the side of boaters and Mexican officials. SOUTHERN CALIFORNIA — Dreams of buying a used boat and taking it south of the border could become a nightmare if the seller does not cancel his or her Temporary Import Permit (TIP). If you are on the market for a boat and have plans to sail down to Mexico for a weekend it would behoove you to make sure the selling party cancels the TIP, allowing you to purchase your own valid permit. (Of course this only applies if the boat was previously taken into Mexican waters prior to your purchase). All vessels going into Mexico must have a TIP on-board, but there have been instances when boaters have traveled to Mexico from the United States with a permit purchased from the vessel’s previous owner, according to several marina managers from south of the border. “It is an issue,” Fito Espinoza, the dockmaster at Hotel Coral in Ensenada, told The Log. He added Mexican officials would not issue a new TIP until the previous one is canceled. The TIP does not automatically cancel or transfer with the change in ownership. Accordingly you will run into problems with Mexican officials if you buy a used boat with a TIP under the previous owner’s name and make port in Ensenada, La Paz, or anywhere else in Mexico. Your vessel could be impounded in Mexico if local officials ask for the vessel’s documents but find out the TIP is under the previous owner’s name. “The best thing is [for the seller] to cancel it at the last port [in Mexico],” said Espinoza. The boat’s new owner would be able to obtain a new TIP once the previous owner cancels his or her permit with Mexican officials. A TIP could only be canceled with the original paperwork in hand. Losing the permit would certainly complicate the process. 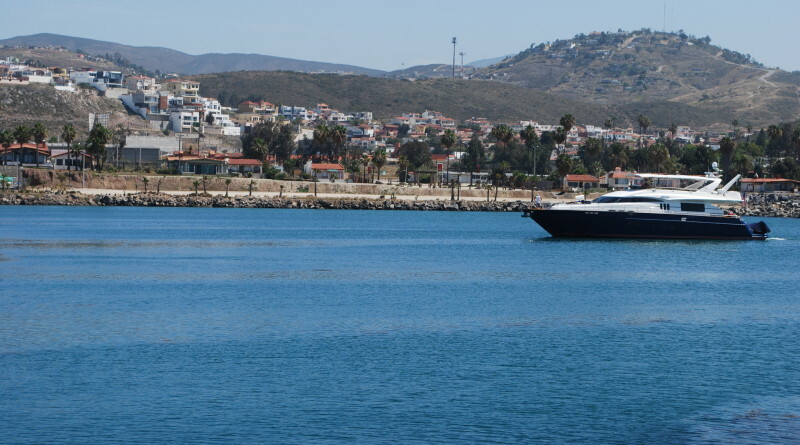 Espinoza added the boat seller should drive down to the banjercito in Ensenada and cancel the TIP before engaging in any transactions north of the border. “The document you need to provide, aside from having the original permit, is evidence you checked out of the country,” said Espinoza. Should you purchase a used boat with an active TIP the best thing to do is contact the seller and see if he or she still has the permit. If so then instruct the seller to cancel his or her TIP. Only after the old TIP is canceled could you apply for a new one. Mexico requires a TIP for every foreign vessel (recreational or sport boat, sailboat, yacht) measuring 15 feet or longer. Be sure to have all documents proving your ownership and a government-issued identification card when applying for a TIP. The permit’s fee is $45 if sought online or $51 if processed through customs at your point of entry. More information about TIPs, including who to contact and what constitutes checking out of Mexico, is available on the SAGARPA website. Despite some confusion over the TIP process most marina operators in Mexico told The Log there are very few hiccups involving U.S. boaters traveling into Mexican waters. There seemed to be a consensus among marina operators who spoke to The Log for this story that boaters have become accustomed to the bureaucratic process.